This Monday is the start of a new week and new tours to share. 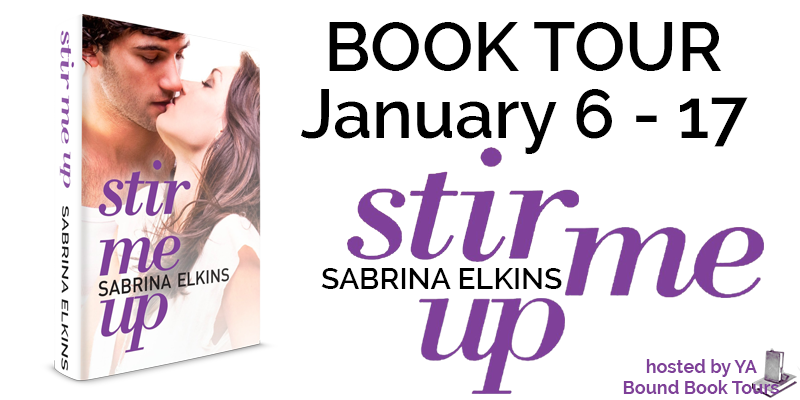 We are one of the stops on the Stir Me Up Blog Tour hosted by YA Bound Book Tours. For our stop we have a Character Profile and there's a fantastic giveaway to enter. Enjoy and have a good week! PARENTS: Father: Christophe Broussard, a native Frenchman who is executive chef and owner of Étoile, a French restaurant in Northampton, Mass. Mother: Jamie Broussard, a stay-at-home mother originally from Detroit. She deserted her husband and daughter one night when Cami was eight years old. CHILDHOOD: After her mother left, Chris at first hired a long string of babysitters to take care of his young daughter. Then, because he missed seeing her, he started taking her to work with him more frequently. COOKING BACKGROUND: Gradually, Cami started dabbling in the kitchen and then working as a young apprentice chef at her father’s French restaurant. By age seventeen, she is awarded the honor of making the soup for the restaurant on the slowest night of the week. HOBBIES: Cooking, reading cookbooks, watching movies, shopping, texting and hanging out with her bff Taryn. FAVORITE FOODS: Mocha chip ice cream and French fries. PERSONAL GOALS: To be a chef with international flair. To convince her father this is a smart idea and she doesn’t need to go to college to be successful. To figure out her feelings for her boyfriend, Luke, and for her family’s grouchy-but-gorgeous new houseguest, Julian Wyatt. 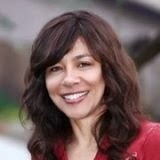 I am a former journalist who worked for the Los Angeles Daily Newsand other newspapers in the greater Los Angeles area. Prior to this I worked in advertising, writing ad copy for corporate travel accounts and major motion pictures. My first job out of college was as an administrative assistant to an executive chef and a food & beverage director at a Four Seasons hotel. I also spent some time working as a prep cook for Spago in Beverly Hills. I received my Master's degree in Journalism from the University of Southern California. While in graduate school, I had the privilege of studying fiction writing under renowned author Hubert Selby, Jr., and comedy writing under famed comedian Shelley Berman. I am a past participant of the Squaw Valley Community of Writers Summer Writing Workshop. Raised in the woods of Vermont, I now live in the greater Los Angeles area with my husband and three children. STIR ME UP is my first novel. My favorite food would have to be Chicken Fiesta, my grandma makes and it is to die for!! Thank for the giveaway I loved Stir Me Up so much!! Wow, that's way too hard a question. I think I could live on just a diet of pastry and fresh fruit. But every list must begin and end with chocolate.